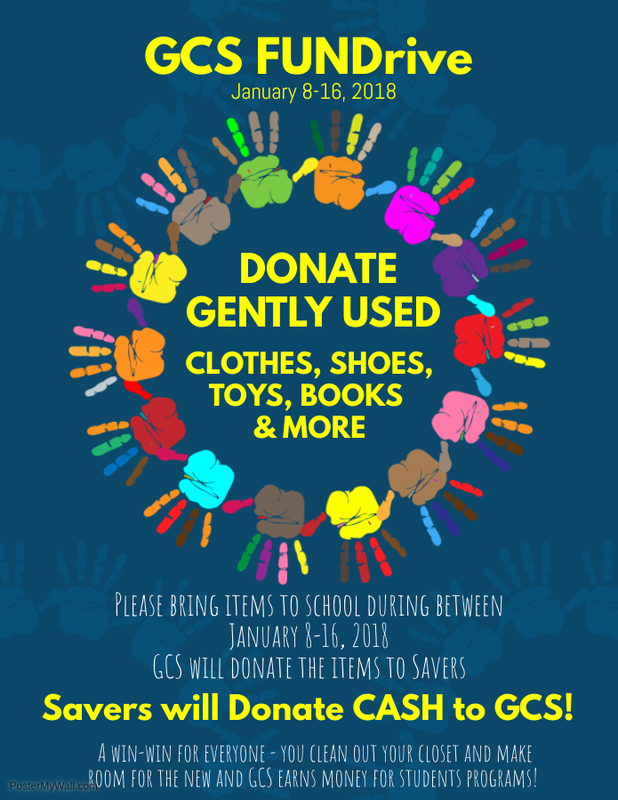 GCS PTA is collecting your gently used clothes, shoes, toys, books (and more) and will donate all items to Savers. Savers will then donate cash to GCS PTA! A win-win for everyone - you clean out your closets and make room for the new and GCS PTA earns money for students programs! Please deliver items to the GCS PTA foyer anytime between January 8-16, 2018.